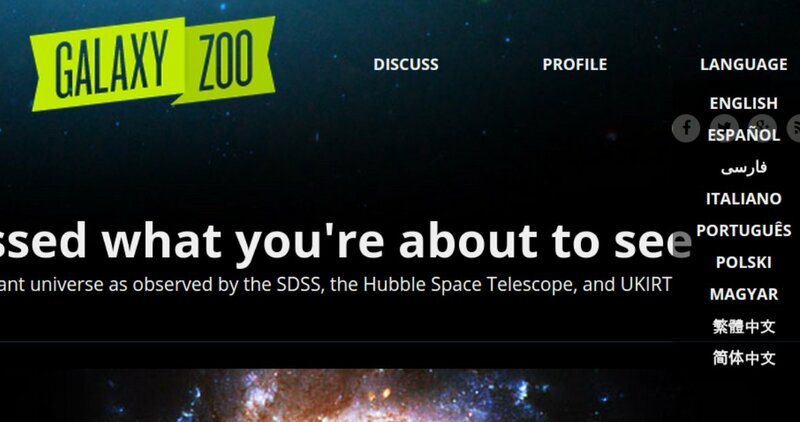 Galaxy Zoo is now available in 9 different languages, and is currently being translated into 9 more! You can access the translations via the language button in the top right of the site. Most of our other projects have also been translated into other languages, and we are constantly trying to expand the options, however we depend on volunteer translators to do the work. If you speak another language and would like to help translate one of your favourite Zooniverse projects please send an email to team@zooniverse.org.